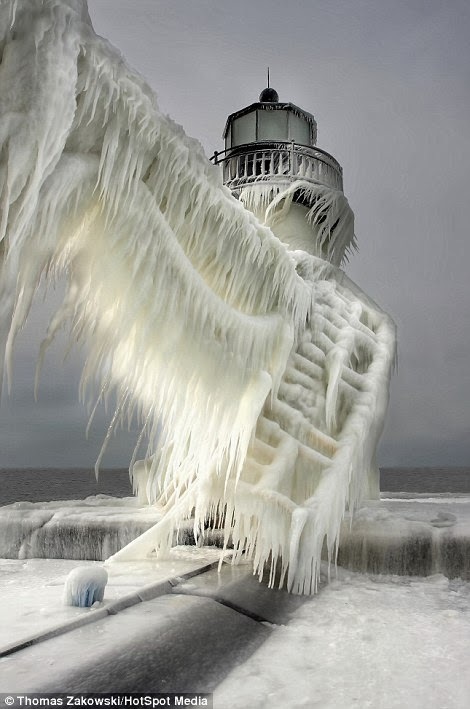 I found these images to be eerily beautiful. 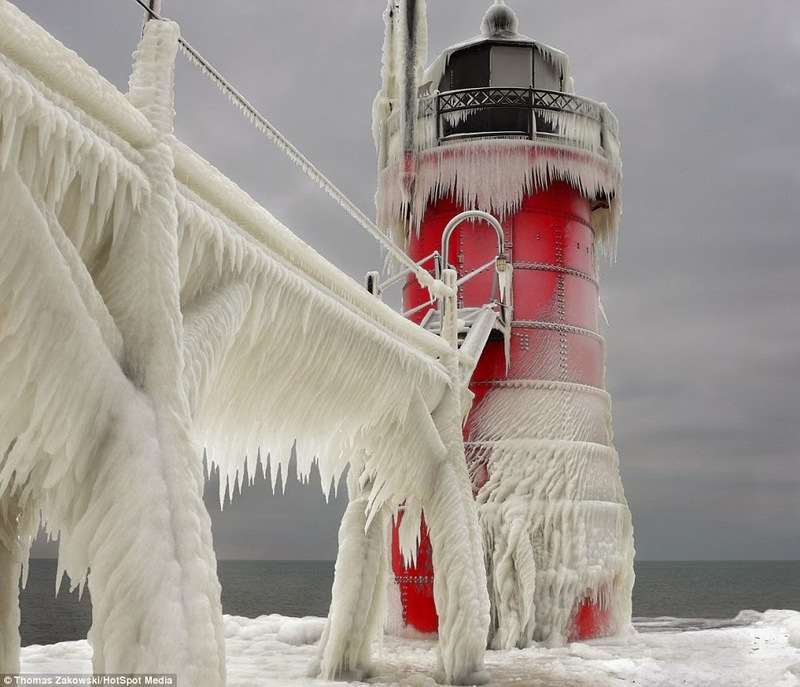 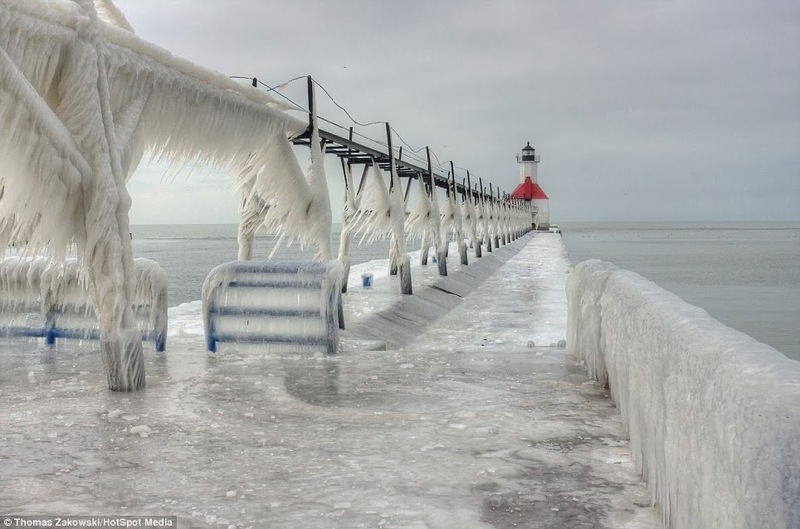 The polar vortex has had its way with these lighthouses and left it breathtakingly frozen. 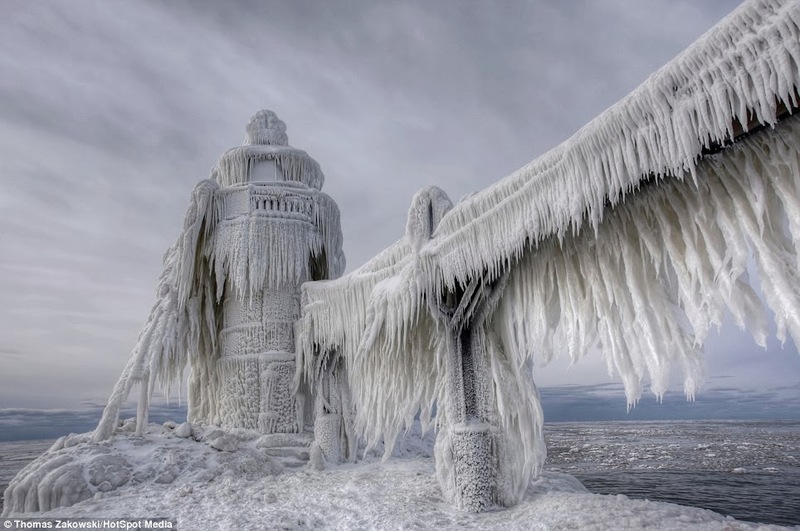 Thanks for the link, Caro!